InfoComm International has published a new audiovisual standard, Cable Labeling for Audiovisual Systems (CLAS). The new standard defines requirements for labeling cables used in installed AV systems and provides guidance for the easy identification of all power and signal paths in a completed system. Proper cable labeling aids in the operation, support, maintenance, and troubleshooting of AV systems. InfoComm will present the new standard at a free plenary session during Integrated Systems Europe (ISE) 2016 in Amsterdam. The plenary will be held February 11 from 15:30 to 17:30 in room D403 at the RAI Amsterdam Convention Centre. Interested parties can register at iseurope.org/infocomm-standards-plenary-session. "Consistent, clear labeling of interconnected cables, which serve as the core of integrated systems, is very important," said John Bailey, CTS-D, CTS-I, vice president of technology at Whitlock and chair of the InfoComm task group that developed the CLAS standard. "It is critical that cables are labeled in a consistent and methodical way, especially as large, complex, and facility-wide systems become more commonplace." The standard marks a new milestone in InfoComm's development of consensus standards that benefit the AV industry by raising the bar on quality and professionalism in systems integration and design. Unlike previously published InfoComm standards, which adhere to requirements set forth by the American National Standards Institute (ANSI), CLAS was developed independently of ANSI, using the same principles of openness, balance, consensus, and due process. The new process, which is overseen by the InfoComm Standards Steering Committee and operates concurrently with ANSI/InfoComm standards development, allows InfoComm to release more rapidly standards that are specific to the AV industry. Potential standards are identified for development by the steering committee, chaired by Jason Brameld, technical director of Torpedo Factory Group. "A primary driver behind the introduction of InfoComm-specific standards was the fact that a standard such as AV cable labeling would only be required by AV practitioners," Brameld said. "It is not something that allied trades would necessarily refer to." InfoComm is an ANSI Accredited Standards Developer (ASD). More than 700 industry volunteers support InfoComm's standards development, which has resulted in six ANSI-certified standards, plus a joint standard with the Custom Electronic Design & Installation Association (CEDIA) and the Consumer Technology Association (CTA) governing the use of audio, video, and control architectural drawing symbols. A draft ANSI/InfoComm standard, Display Image Size for 2D Content in Audiovisual Systems, is currently in public review. For more on InfoComm standards, visit infocomm.org/standards. "We took the best practices of standards development and streamlined some of the rigor required by third-party accreditation," Bailey explained. "By doing this, we can bring to market industry-specific AV standards faster while still focusing on broader ANSI-accredited standards." 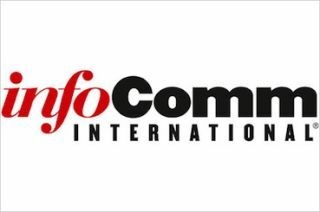 After the InfoComm Standards Steering Committee selected Cable Labeling for Audiovisual Systems for development, an international task group began defining the scope, definitions and requirements. The standard was presented to the AV industry for review and comments were collected and incorporated. The final standard includes guidance on required primary elements as well as unique identifiers; other identifiers, such as those for cables meant to be accessed by users; and cable label characteristics, including durability, legibility, text fonts, location and orientation. The standard is free for InfoComm members and available for purchase through the ANSI or IHS standards stores. "InfoComm thanks the committed volunteer experts who guided and authored the Cable Labeling for Audiovisual Systems standard," said Ann Brigida, CTS, CStd, director of standards for InfoComm International. "The development by InfoComm of AV industry-specific standards is possible, in part, due to the success, recognition and authority established over nearly a decade of developing ANSI-accredited standards. This new development process will get AV standards into the hands of professionals who need them as soon as possible so they can adopt industry best practices and drive their businesses forward."